Childhood depression is different from the normal “blues” and everyday emotions. Depression in children is more than just feeling sad. It affects thinking, mood and behaviour. Children experiencing depression often feel negative and hopeless about their situation and their future. If your child is depressed, it can be hard for them to learn, make friends and make the most of daily life because they may lack confidence, attention and motivation. If depression goes on for a long time without treatment, the way your child learns and grows can also be affected. The key difference between “being sad” and “being depressed” is if the sadness persists and is disruptive to normal social activities, schoolwork or family life. It is important to note that children with depression are often undiagnosed because they are passed off as “being emotional”. 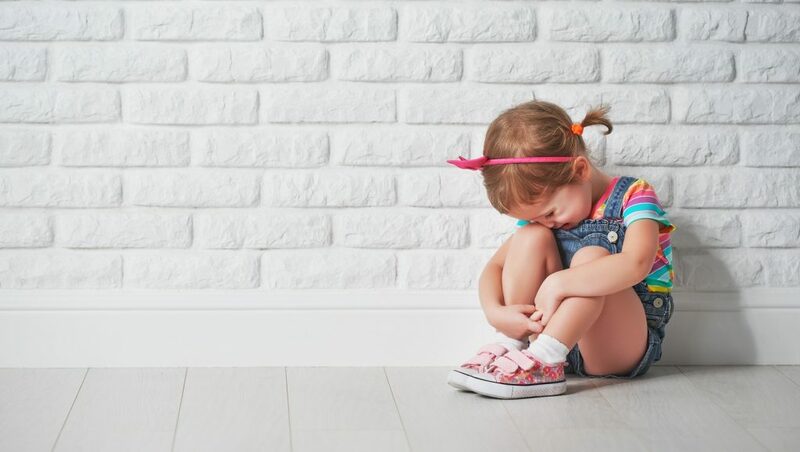 Children often find it difficult to explain how they are feeling, especially when depressed, so may express their feelings with challenging behaviour. Does depression look different in adolescence? The American Academy of Child and Adolescent Psychiatry estimates that as many as one in 20 children and adolescents is depressed. Depression is significantly more common in boys under age 10. But by age 16, girls have a greater incidence of depression. Bipolar disorder is more common in adolescents than in younger children. Depression in children can be caused by any combination of factors that relate to physical health, life events, family history and environment. Genetic vulnerability plays a key role with studies showing 25 percent of kids who have a parent who has suffered from clinical depression will experience their own episode. If your child is in crisis and you think immediate action is needed, call emergency services (triple zero – 000), contact your doctor or mental health crisis service, or go to your local hospital emergency department. For further information, please refer to our emergency contact section. What is the depression treatment Brisbane? Depression is not a passing mood, nor is it a condition that will go away without proper treatment. The first step is to make an appointment with your General Practitioner who may make a referral to a psychologist for therapy. Psychological treatment of choice for childhood depression is Interpersonal therapy (ITP) and Cognitive Behavioral Therapy (CBT). Please refer to treatment sections for more information or book a free 15min telephone consultation to discuss treatment options more.